If you were a victim of a big rig accident, you do not deserve to be left with sky-high medical bills or the grief of a lost loved one — the responsible party should compensate you for what you lost. Involvement in a big rig accident can result in devastating injuries and death, which is why many victims choose to consult 18-wheeler accident lawyers who can pursue justice for what was taken from them. These truck drivers often push themselves to drive long hours, often late into the night, in order to meet deadlines. We believe this behavior contributes to the fact that one out of every eight traffic-related deaths involves a collision with a truck. If you are seeking an auto accident attorney in the Oklahoma area, contact our team at The Edwards Law Firm today. When it comes to motor vehicle collisions, many Oklahoma drivers are frightened by larger vehicles on the road. These fears stem from a number of dangers commonly linked to 18-wheeler crashes. For instance, due to the enormity of these trucks, the truckers blind spot is generally much larger, putting any cars traveling alongside the truck at risk. When a commercial truck is merging onto a highway, they often have trouble seeing oncoming traffic. For these reasons, all Oklahoma, Texas, and Arkansas motorists must be aware of these trucks and make a backup plan in the event that a truck changes lanes or makes any movement that might compromise their safety. The stop time for an 18-wheeler is 40 times greater than that of a car. Comparing the differences between these two vehicles helps to put the dangers associated with 18 wheeler collisions in perspective. When traveling on the roads and highways of Texas, Arkansas, and Oklahoma motorists must ensure that they are fully aware of the vehicles in which they are near. Be sure to pay attention to things like traveling in a trucks blind spot or the merging of a large truck into your lane. If you or a loved one is involved in an accident, consider contacting our 18-wheeler accident lawyers. Fill out our FREE case evaluation form or call The Edwards Law Firm at our toll free number, (833) 387-5945, for help today. The Federal Motor Carrier Safety Administration (FMCSA) was established to outline specific regulations and standards for all commercial trucks operating in the U.S. There are many reasons that these regulations are imperative. From a safety perspective, these commercial trucks are carrying products and goods that may be hazardous and require specific methods of handling and care. Additionally, interstate travel requires strict regulations on insurance, driver qualifications, maintenance, equipment, and more. Through the standards set by the FMCSA, truckers have a number of principles to follow that reduce accidents and increase safety. 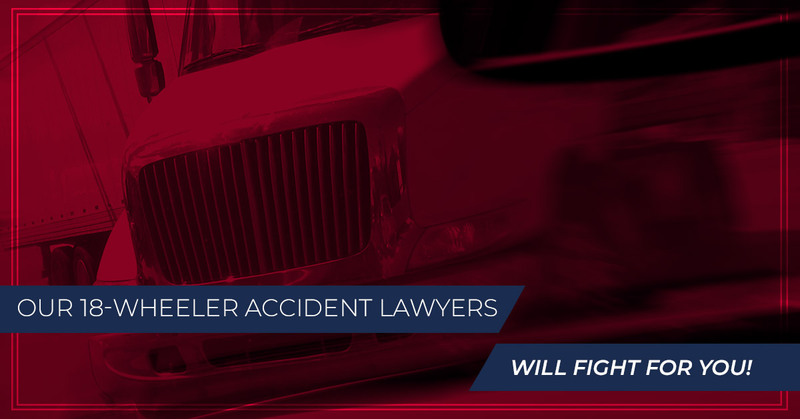 Trucking companies and insurance companies often attempt to take advantage of accident victims in the courtroom. These people will try to get the claimant to agree to unfair settlements when the accident victim is entitled to much more compensation this is where The Edwards Law Firm comes in. Our personal injury lawyers have years of experience in truck accident litigation. Utilizing this experience, as well as thorough research and investigation, we are able to craft a case that breeds success. If you or a loved one has suffered from any injuries following a crash, fill out a FREE case review form to learn more about your legal options and to speak to an attorney today.